Aksys Games will be revealing two unannounced titles at this year's E3 alongside PlayStation Vita title Muramasa Rebirth and Xbox Live Arcade game A.R.E.S. Extinction Agenda EX. Both new titles will be playable, but fear-not, there will also be trailers shown off during the event as well for those who can't make it. Aksys said in the announcement that it will be bringing the two games "to these here shores", all but confirming a Western release. Could the developer be bringing over a couple of Japan-only titles? Only time will tell. There's no news on which platforms these two titles will be coming to, but they will be revealed in addition to the studio's first ever mobile games. 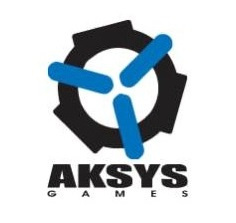 What games are you hoping Aksys will be bringing along to E3? Let us know by dropping a comment below. Hey @NintendoLife ! I'm glad you all fixed your server problems. I love this website and the community... Well, most of the community. Have yet to try Muramasa on Wii, but will likely do so eventually. Muramasa on the Wii is a work of art and a real sleeper. Hence the re-release of the game which isn't easy to find in collectible form for the Wii. If you do find it. Still have my original Wii version and a large poster of the cover artwork. Didn't Aksys do the Zero Escape games? Maybe it is the announcement of part tres? We need games, games, and more games, so hopefully these titles will be coming to Wii U. It's also good for the console to have a broad catalog of titles that aren't all from big companies. 999-3? One can only hope. @Prof_Elvin_Gadd LOL I feel the same. I hope its Zero Escape 3, I'd also be fine with a 999 remake that has voice acting in it. I hope Zero Escape 3! Maybe for Wii U? @NINTENBOY @Prof_Elvin_Gadd Haha I agree NIntendo Life for the most part has the best community That I have ever seen on a Video Game Web site. @Dpishere By all means, go for it. I have it and it was better than I thought. Zero escape 3..on Wii U!??.. Or maybe just leave those games for handheld. Uh, I don't get it. Aren't they developing games for...non-nintendo consoles now? I don't even think the third Zero Escape game is even in development yet. Calm down. Gee, I wonder what they will be? I want the upcoming BlazBlue sequel... Chrono Phantasma or something. They just can't give us Continuum Shift II and leave. Although it's always good to see something new I would love to see Muramasa in 1080p-o-vision. It looked bloomin gorgeous in 480p!!! @retro_player_22 That's beyond unlikely, as Chronopantasma will be released in October in japan - and the team still hasn't gotten the entire story and balancing down. I kinda expect Guilty Gear Xrd -SIGN-, but I'm hoping for ClonePhantasma (the portable goofy game, not the main fighter) and/or something entirely new. @Kaze_Memaryu Guilty Gear is doesn't even have a console announcement last I checked. Could be news about Blazeblue and Guilty Gear, both are great fighters. It really doesn't, though many suspect the PS4 because of the great amount of anti-aliasing in the trailer at full res. And that's exactly why I'm hoping for news about it! @Kaze_Memaryu It was running on Arcade Hardware. SEGA’s RINGEDGE2 / ALL.Net P-ras MULTI Ver.2 system, to be exact. That wasn't console gameplay.